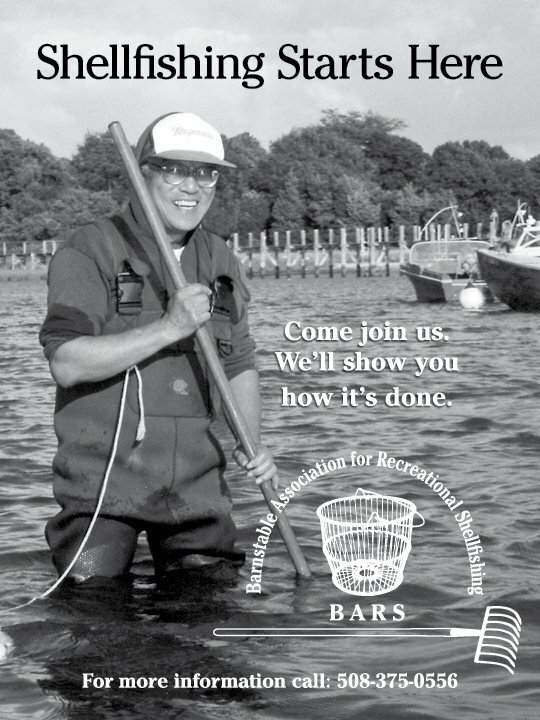 BARS was formed in 2001 by a small group of concerned shellfish enthusiasts who wanted to create an organization that would protect and expand the shellfish habitat in the Town of Barnstable. The group’s membership now numbers over 200. 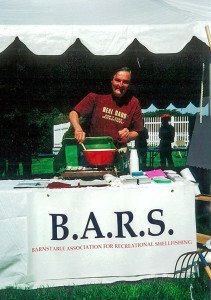 Jon Gorecki put together an archive compiled by year of photos, newspaper clippings, and anything else that had to do with BARS history. 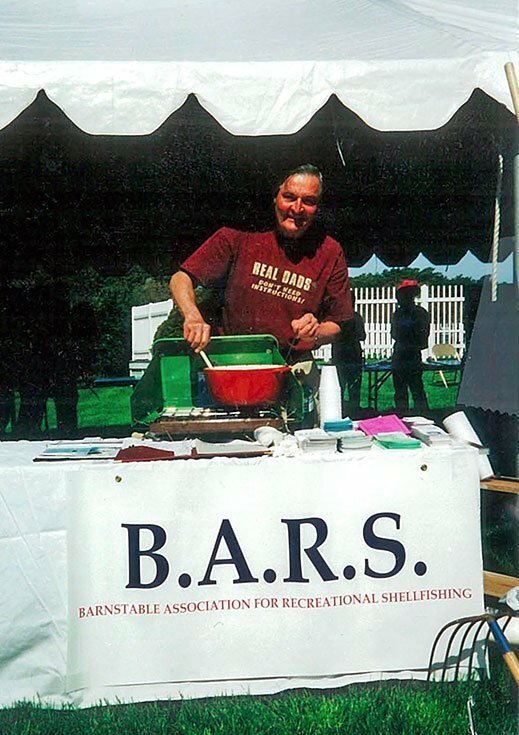 Fred Dempsey and Bruce Sandberg in conjunction with the Cape Cod Media Center, produced a documentary about Taisto Ranta the first Shellfish Warden of the Town of Barnstable, which you can view here. The video was finished in 2006 and had taken about two years to produce. Hilda White was the writer on the project. More information about Taisto and this video is contained within the 2010 BARS archives. 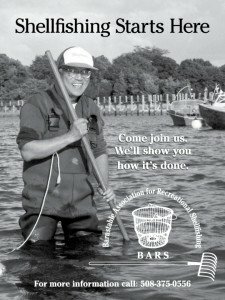 Above from left to right (top to bottom on mobile): Avery Woo in an Edible Cape Cod magazine ad, Stan Negus on the cover of the BARS brochure, André Sampou serving chowder for BARS.